Our Personalised Vintage Typography Hard Back A5 Notebook is a gift to show him how great he is. 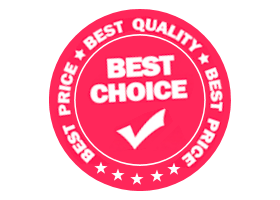 This hardback notebook contains approximately 64 double sided pages inside, all lined, and a page marker. 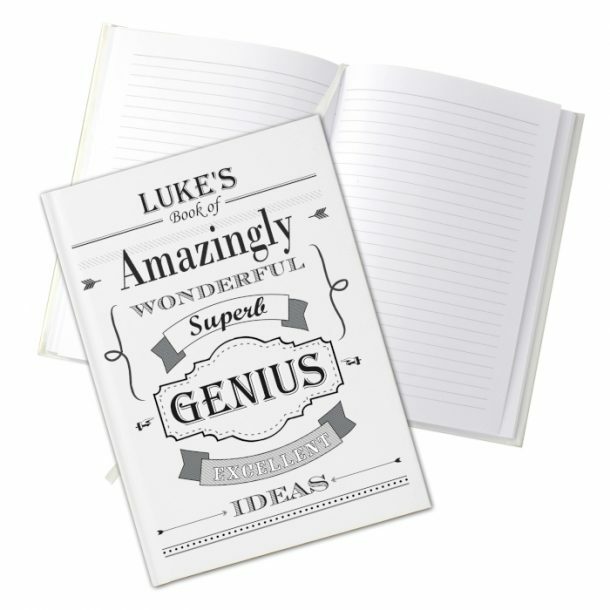 The front cover features the text ‘Book of Amazingly Wonderful Superb Genius Excellent Ideas’ which is fixed, so all we need from you is the name of the genius! 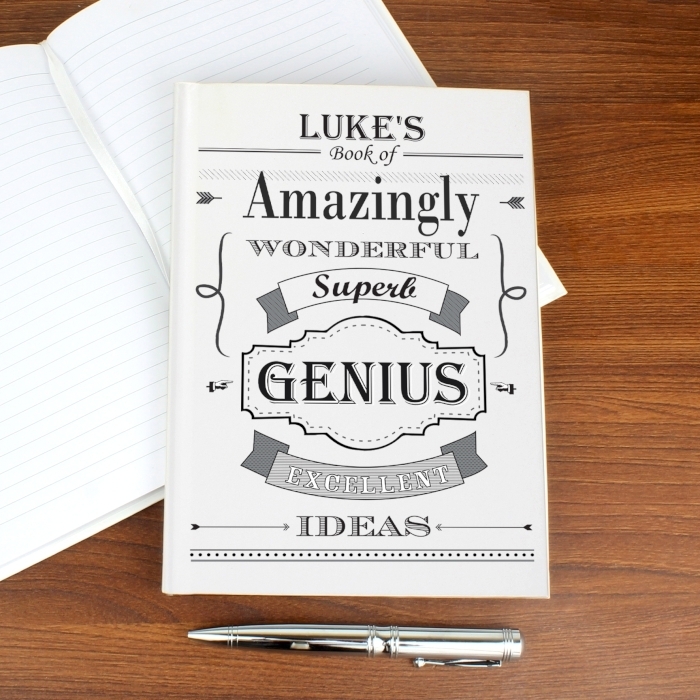 The book can be used for any purpose like crucial notes or appointment details, and is a great gift to add to his his presents on any occasion.